Green coffee bean extract is made from coffee beans that have not yet been roasted. Research shows that the roasting process of coffee beans reduces the amount of the chemical chlorogenic acid found in the bean’s natural “green” state. Therefore, green coffee beans have a higher level of chlorogenic acid compared to regular, roasted coffee beans. It is the chlorogenic acid in green coffee which is thought to have health benefits for weight loss. How does Green Coffee Bean Extract promote weight loss? The research is still in the early stages, but the commonly held belief is that green coffee bean extract promotes weight loss via the prevention of calories from carbohydrates being absorbed in the intestines. In essence, green coffee bean extract is thought to work as a carb blocker...forcing the body to ignore carbs and allow them to leave the body as waste. Want to learn more about green coffee bean extract & weight loss? Check out the science…. 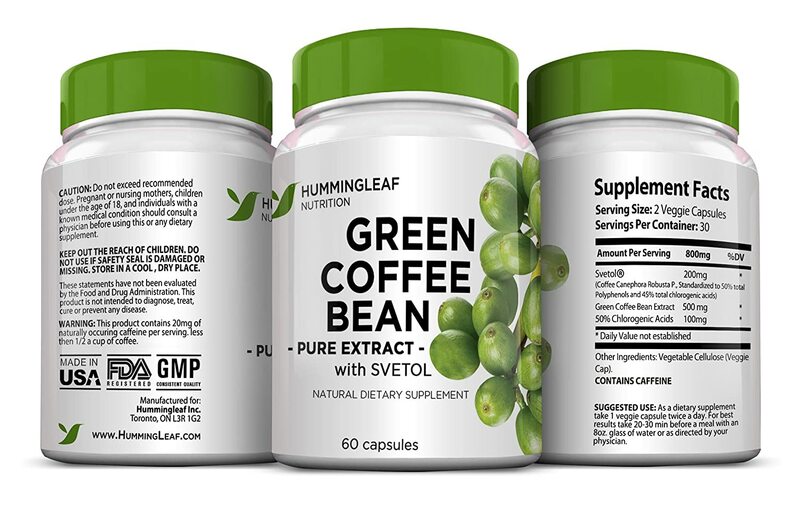 Where can I buy Green Coffee Bean Extract supplements? The full report is available to @HealthHabits subscribers, so if you want to see numbers 8 – 1, subscribe now by clicking on the button below. Number 10 is available here. 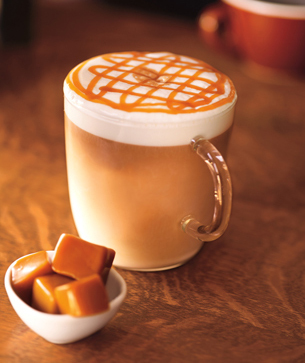 Caramel Macchiato : Freshly steamed milk with vanilla-flavored syrup, marked with espresso and finished with caramel sauce. While waiting in line at Starbucks for my morning injection of caffeine, I overheard the woman ahead of me in line order a tall non-fat caramel macchiatio with a rice crispie square. Nothing out of the ordinary…pretty typical Starbucks order. But it got me thinking…why did she order it “non-fat”? Did she prefer steamed non-fat milk over steamed 2% or steamed whole milk? Or, was she trying to cut back on fat and/or calories? Her answer: It was the fat. It was the 40 extra calories from fat that she would get if she ordered a tall 2% fat caramel macchiatio. That’s when I started banging my head against the wall. Why do people think that 40 calories of milk fat in their coffee is going to make them fat, but the caramel sauce and the rice crispie square won’t? And where my new Starbuck’s friend sees 4 extra grams of milk fat, I see 61 grams of carbs – including 34 grams of added sugar. 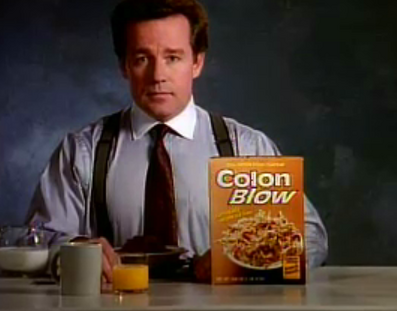 And that’s why this is a crappy breakfast. It’s not the 4 extra grams of fat and their 40 calories. and obesity and metabolic syndrome and atherosclerosis and…. 4 grams of milk fat in your tall non-fat caramel macchiato isn’t going to make or break your diet. But 61 grams of carbs just might. A new scientific study says drinking coffee is good for you. Another new scientific study says drinking coffee is bad for you. What the @&%*#%! is going on here? In fact, the research showed that athletes who consumed carbohydrates and drank caffeine had 66 per cent more glycogen in their muscles four hours after working out, versus athletes who consumed carbohydrates alone. This is important because to get the most from your workouts, you need to re-fuel your muscles as soon as possible. A proper re-fuel will cause your body to shift from it’s post-workout catabolic state to an anabolic state toot sweet. Simply put, you will recover faster, feel less post exercise pain (still debatable, but anecdotal evidence leads me to believe this to be true), get stronger, faster, have more endurance and lose fat faster. So take a shot of espresso with your post workout protein shake. Okay, this is weird. 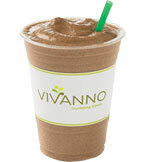 As I was writing this post, I was also surfing and came upon this – Starbucks new Vivanno Nourishing Blends. I haven’t had one, but this is exactly what the Aussie researchers are describing. Carbs, protein & caffeine. So, if you want to see science in action, head down to Starbucks post workout. And no, I don’t have any financial interest in Starbucks. I just spend a lot of money there. For a great info on workout nutrition, check out Dr. John Berardi. Researchers from the University of Guelph have concluded that “drinking coffee before eating your morning cereal can affect the body’s blood-sugar response and cause blood glucose levels to rise dramatically (250% higher)- especially when eating low-sugar cereals like All-Bran“. Once again, what the @&%*#%! is going on here? I eat my All-Bran twigs and berries cereal so that I don’t get colon cancer and now these science geeks are telling me that unless I cut out my morning cup o’ joe, my blood sugar is going to jump sky-high, followed by my insulin levels. Great, the next thing you’re going to tell me is that this is going to make me insulin resistant and eventually type 2 diabetic. 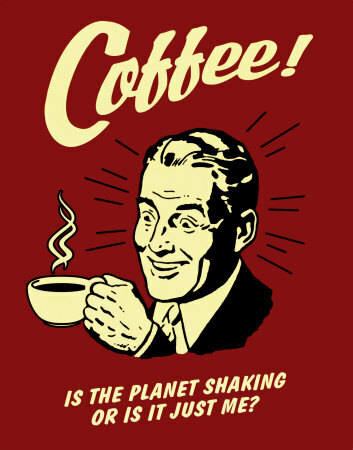 According to Prof. Graham, for healthy people, the implication is “no big deal.” “If my glucose goes a bit higher and I’m over it in a couple of hours, I’m happy and I’ve had my coffee.” In fact, recent research shows “very clearly” that heavy coffee drinking decreases the risk for Type 2 diabetes. Coffee contains many positive biological compounds, including antioxidants, and decreases the risk for diseases of the gut. “In the long term, consuming coffee for decades decreases your risk,” Prof. Graham says. Not so for those individuals who are obese, sedentary and don’t exercise. It’s likely that those people are already insulin resistant. 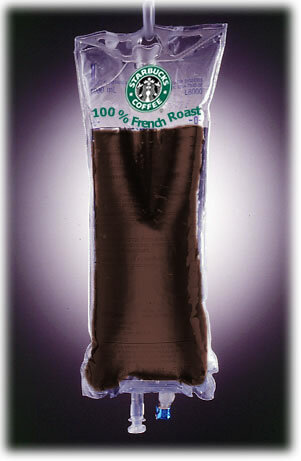 If you are not at risk, enjoy your java. However, if you fit the ‘at risk’ profile, try switching to water distilled decaf coffee.” Or, eat your cereal before your coffee. Or, dump the cereal altogether and switch to a Mediterranean or Paleo way of eating. These two studies seem to contradict themselves. In study # 1, the researchers are trying to increase levels of blood sugar and insulin. This effect literally drives the sugar into your muscles. Your muscles have been depleted by your workout (At least they should be; if not, workout harder) and they are virtually screaming to be fed. The sugar will go straight to your muscles where it will go about fueling your muscles re-building process. In study # 2, you have no need for a giant spike in blood sugar and insulin. You just woke up and your body is not screaming for fuel. You have a long day ahead of you, so a nice steady stream of low glycemic carbs is the way to go. No sugar spikes you Coca-Cola junkies. So, in conclusion, you want to keep you blood sugar in check all day long, except for post workout.